On Wednesday, ExxonMobil investors are scheduled to gather in Dallas for the company’s annual shareholder meeting. There they will vote on nine shareholder proposals, one of which would require the world’s largest publicly traded oil and gas company to fully disclose its spending on state and federal lobbying. The proposal, which is part of a broad movement by investors to force companies to disclose their direct and indirect lobbying efforts, would force the oil giant to reveal payments to trade associations that critics say allow the company to publicly claim to support efforts to address climate change while secretly funding lobbying opposing those efforts. Wednesday’s vote will represent the fifth straight year of the United Steelworkers of America, which represents 2,500 workers at seven ExxonMobil sites, has submitted a lobbying disclosure proposal to the oil giant. While previous efforts have been unsuccessful — only a quarter of shareholders supported last year’s proposal — former CEO Rex Tillerson’s ascension to Secretary of State and multiple state investigations into allegations the company misled investors about climate change have renewed interest in ExxonMobil’s political influence. “What they don't do yet is break down state lobbying. They don’t break down money they give to trade associations,” Timothy Smith, director of environmental, social and governance shareowner engagement at Walden Asset Management, told International Business Times. Walden Asset Management has pushed similar resolutions at dozens of companies and is part of a coalition of investors, which include a Swedish pension fund and Rhode Island’s treasury, that is supporting the proposal. In 2016, 40 lobbying disclosure proposals were submitted to Russell 3000 companies, according to an analysis by Simpson Thacher & Bartlett LLP published on the Harvard Law School Forum on Corporate Governance and Financial Regulation. None of those measures gained majority support. The ExxonMobil board opposes the measure. 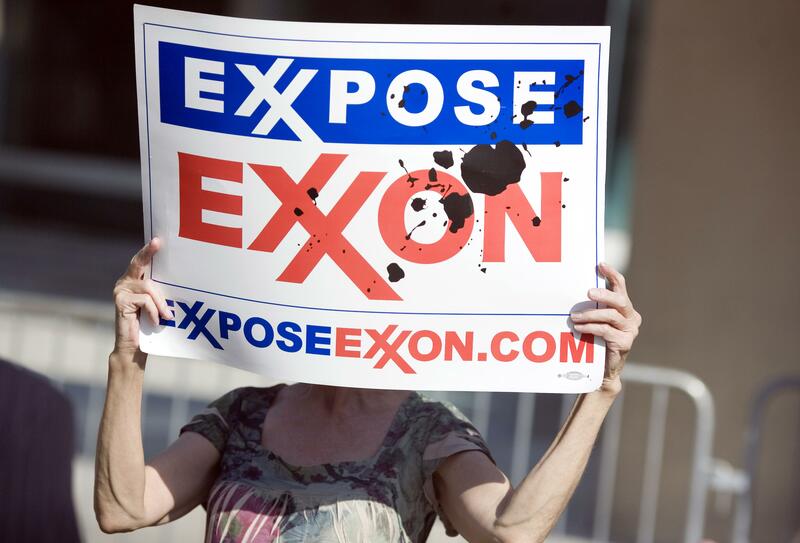 While ExxonMobil discloses the money it spends on its own federal lobbying efforts, ($11.84 million in 2016) it does not disclose its membership in, or payments to, trade associations that are some of the biggest spenders on lobbying at the state and federal level. The proxy advisory firm Institutional Shareholder Services (ISS) recommended shareholders vote “yes” on the proposal, noting that ExxonMobil “does not disclose its direct and indirect lobbying expenses on its website” and does not “provide complete information on its trade association memberships and payments.” This kind of spending produces risks and benefits that investors should be aware of, ISS said. 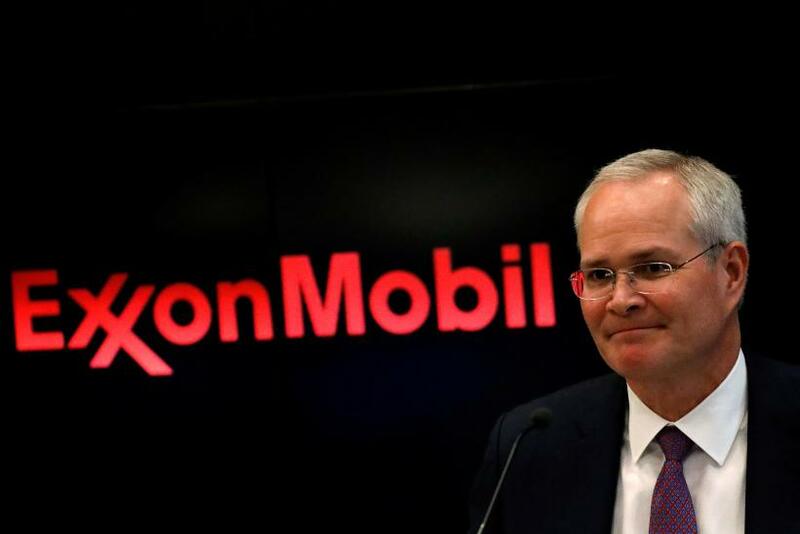 Potential risks could stem from the possibility that ExxonMobil is using trade associations to push agendas that contradict the company’s public statements. Groups like the U.S. Chamber of Commerce, The Business Roundtable, and The American Petroleum Institute (API) spent a combined $267 million dollars in lobbying since the beginning of 2015, according to the Center for Responsive Politics. While the American Legislative Exchange Council (ALEC), doesn’t spend money on lobbying, it works to develop legislation in coordination with lawmakers and their corporate members. While the API and Business Roundtable count ExxonMobil as a member, the U.S. Chamber and ALEC do not disclose membership. However, ExxonMobil gave a $5 million five-year grant to the Chamber’s nonprofit foundation in 2014. ExxonMobil was listed as one of the top sponsors of ALEC’s 2016 annual meeting and ALEC’s website lists Cynthia Bergman of ExxonMobil as a member of the group’s private enterprise advisory council. After years of funding climate change denial efforts, ExxonMobil has publicly supported efforts to address climate change. The company’s website now says “the risk of climate change is clear and the risk warrants action,” and in April the company endorsed efforts to convince the Trump administration to keep the U.S. in the Paris climate agreement. Those positions run counter to the lobbying efforts of powerful trade associations. ALEC has called climate change a “historical phenomenon” and declares on its website that “international efforts to decrease emissions have proven politically infeasible and unenforceable.” The group’s position on climate change led energy giant Royal Dutch Shell to leave the group in 2015. And more than a dozen of the world’s largest companies have quit the U.S. Chamber in recent years amid political disagreements that include debates over environmental policy, according to an analysis by Public Citizen. These constitutional rights are often exercised away from the public eye, according to a study published earlier this year by the Investor Responsibility Research Center Institute. The Institute found that just 12 percent of corporations in the S&P 500 disclose lobbying expenditures, which are often spent at the state level, where disclosure requirements are inconsistent and sometimes nonexistent. While proponents of the measure don’t expect the measure to pass this year, they are looking for an increase in the vote tallies. Shawn Gilchrist of the United Steelworkers told IBT the amount of co-filers supporting the proposal doubled from last year to this year.